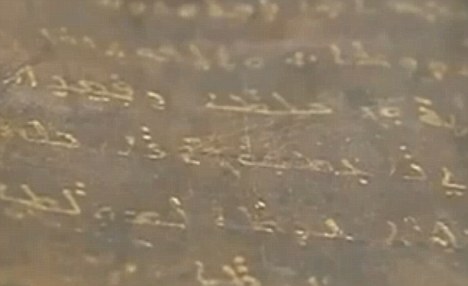 The £14million handwritten gold lettered tome, penned in Jesus’ native Aramaic language, is said to contain his early teachings and a prediction of the Prophet’s coming. Turkish culture and tourism minister Ertugrul Gunay said the book could be an authentic version of the Gospel, which was suppressed by the Christian Church for its strong parallels with the Islamic view of Jesus. 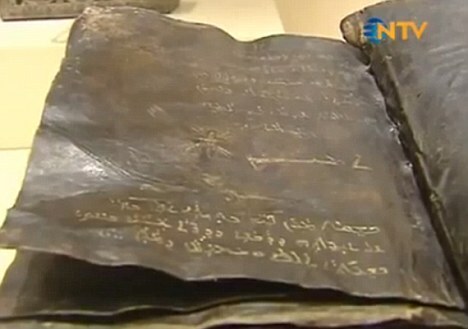 He also said the Vatican had made an official request to see the scripture – a controversial text which Muslims claim is an addition to the original gospels of Mark, Matthew, Luke and John. In line with Islamic belief, the Gospel treats Jesus as a human being and not a God. It rejects the ideas of the Holy Trinity and the Crucifixion and reveals that Jesus predicted the coming of the Prophet Muhammad. In one version of the gospel, he is said to have told a priest: ‘How shall the Messiah be called? Muhammad is his blessed name’. Born in Cyprus as Joseph, Barnabas was an Early Christian later named an apostle. His story appears in the Acts of the Apostles, and Paul mentions him in some of his epistles. The date, place, and circumstances of his death are historically unverifiable. But Christian tradition states that he was martyred at Salamis, Cyprus. He is traditionally identified as the founder of the Cypriot Church, with his feast day on June 11. And in another Jesus denied being the Messiah, claiming that he or she would be Ishmaelite, the term used for an Arab. 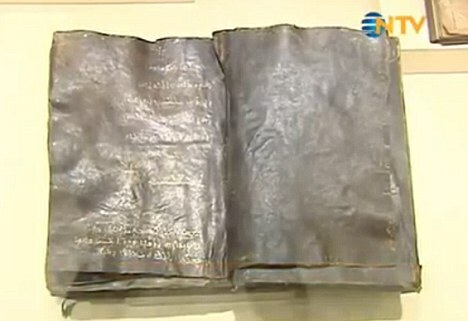 Despite the interest in the newly re-discovered book, some believe it is a fake and only dates back to the 16th century. The oldest copies of the book date back to that time, and are written in Spanish and Italian. Protestant pastor İhsan Özbek said it was unlikely to be authentic. This is because St Barnabas lived in the first century and was one of the Apostles of Jesus, in contrast to this version which is said to come from the fifth or sixth century. He told the Today Zaman newspaper: ‘The copy in Ankara might have been written by one of the followers of St Barnabas. ‘Since there is around 500 years in between St Barnabas and the writing of the Bible copy, Muslims may be disappointed to see that this copy does not include things they would like to see. u r doing good job,may allah bless u.